Arata Mizunashi, a video game programmer, receives a notification from an email sent to him by Shina Ninomiya, a colleague of his who went missing nearly one year ago. Together, they worked to create World's Odyssey (W.O.D. ), an immersive virtual landscape powered by breathtaking, state-of-the-art technology. That is, until Shina's sudden disappearance put a swift halt to production. Arata discovers the startling revelation that Shina Ninomiya was stuck inside of "W.O.D." the whole time. When Arata delves hurriedly back into the lines of code haunting his forsaken project, he realizes that his game is now ravaged by an infestation of bugs, and that Shina is its only active player. Arata soon learns that a nefarious force prevents him from extracting Shina out of the game. Her only way out? She must complete the game to unlock the perfect endingan outcome with a success rate of 1%. On their journey, they encounter a slew of NPC characters that blur perceptions of humanity and A.I.-technology, setting into a motion a thrilling narrative that calls into question the differences between the virtual world and ours. Beyond Belief: Fact or Fiction?  Jump between reality and in-game modes, as players will need to investigate in real world view to solve the mysterious inner-workings of the World Odyssey, and switch to an in-game view mode to battle against glitched-out monsters. Choose options wisely, as your decision can change the game's ending! Turn-Based RPGs Flipped Upside Down  In this turn-based command battle system, you can roam freely and duke it out with fearsome monsters. During battle, players can change the game's genre from a first-person shooter to even a fighting game! You're Buggin' Out  While exploring, players will need to activate character-specific dungeon skills to access hard-to-reach areas and hidden treasures! 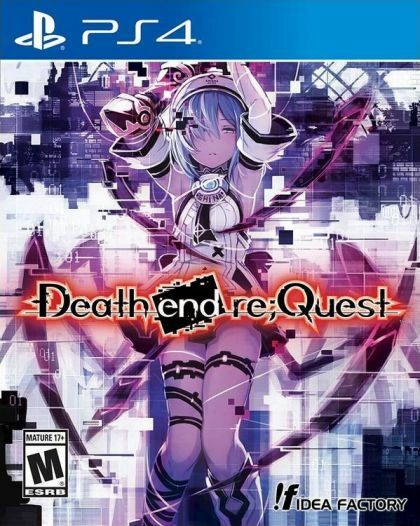 Follow the White Rabbit and Discover a Bug Infested World  In this hyper-realistic game world, players must help out Shina escape a game universe filled with infected bosses and mesmerizing environments!